Capcom's Monster Hunter franchise does big business on the PSP in Japan. Bring that franchise to the Wii, Japan's bestselling console, and you're guaranteed massive success. Right? Well, maybe it's too early to tell. 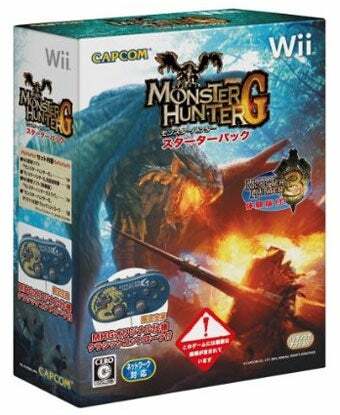 While the most recent PSP version, Monster Hunter Portable 2nd G was an instant success when it launched in early 2007, selling more than 700,000 copies in its first week, the Wii release was... more moderately successful. Monster Hunter G moved 132,000 copies during week one, according to Japanese sales tracker Media Create. Good, but not PSP good, leading me to believe we'll see the Japanese word for "evergreen" uttered from someone's lips in the coming weeks. Other new chart toppers include the Japanese release of Killzone 2, which debuted in third place, moving 41,000 copies and the Xbox 360 port of loli-goth shooter Death Smiles, which also landed in the top ten. The bestselling games in Japan for the week of April 20th to 26th are as follows.